Bus transfers: Our local bus drivers can drive you from any departure location in Baden-Wurttemberg to your wished arrival. If you need a bus in Stuttgart or a ground transfer from or to an airport, or if you wish to book a bus to travel across Germany or elsewhere in Europe, the selected bus companies that work hand in hand with Germany Bus proposes buses with driver that will meet your expectations for any trip in Baden-Wurttemberg. Sightseeing tours: Germany Bus is thrilled to be able to offer you buses or minibuses for sightseeing trips. According to your needs, you can rent only one bus or hire the services of a tourist guide. Somehow or other, we will do our best to please you by bringing our contribution to the development of your sightseeing tour in Baden-Wurttemberg. Excursions by bus: If it is not exactly a sightseeing tour in Stuttgart or across Baden-Wurttemberg but more like an excursion by bus to one of Baden-Wurttemberg's incredible cities, a bus and a driver remain ready to go! In the event that, while working on your plans for your excursion, you need the advice of a tourism professional, Germany Bus rental platform's team and City Tours operator will be happy to provide you with the necessary help for the development of your personal bus route in Baden-Wurttemberg. Travels by bus: Germany Bus rental platform also ensures the renting of buses with driver for journeys from, in or to Baden-Wurttemberg. You may of course have the choice to have recourse only to our bus rental service or to let us organizing the whole of your trip in Baden-Wurttemberg. If need be, Germany bus and City Tours operator can hire a competent guide to supplement your journey by bus, take care of the catering, book a hotel or tickets for theaters, operas, museums or exhibitions anywhere in Europe. Baden-Württemberg Bus: the bus rental agency Baden-Württemberg offers charter buses with drivers in Stuttgart, Ulm, Karlsruhe, Pforzheim, Heilbronn, Friedrichshafen, Freiburg im Breisgau and any other city or municipality in Baden-Württemberg. You can make a bus reservation for a coach with driver in Stuttgart, Baden-Württemberg, the rest of Germany and even for transfers to other regions in Europe. Stuttgart Bus: Stuttgart Bus company gives information about bus trips with driver departing from Stuttgart and offers ground transfers, sightseeing tours and excursions by bus in Baden-Wurttemberg, Germany, and all over Europe. Autobusvermietung Ulm: Specialist in coach hire and bus reservation of modern and comfortable tourism coaches with driver for all different sorts of bus services: you can contact the bus agency for bus transfers, sightseeing tours in buses with driver in Baden-Württemberg, Bavaria and the whole area of Germany. 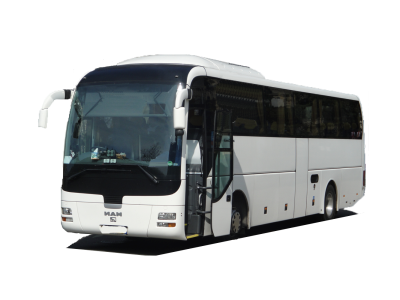 The bus company can also help you with bus inquiries to Austria, Switzerland, France or other parts of Europe. Karlsruhe Autobus: via the bus hire expert "Karlsruhe Autobus" you can order tourism coaches with driver of different sizes for various bus rental services. You can make a reservation for bus journeys within Baden-Württemberg but also going to Saarland, Rhineland-Palatinate, Hesse or Grand-Est in France. Depending on your bus rental plan, you can hire a coach for one day or a longer period of time. Busvermittlung Pforzheim: this agency is a well-established network of reliable and competent bus companies in Pforzheim and Baden--Württemberg. Shall you be in need of a quote for a bus hire with driver for coach transfers in Pforzheim or even to neighbouring states or cities like Stuttgart, Ulm, Karlsruhe and alike. Mietbus Heilbronn: here you can get a quote for a bus rental with driver in Heilbronn but also to communities close-by. You can request a price for hiring a minibus, midibus or tourism coach with driver in other cities of Baden-Württemberg and other German communities. The well-established partners collaborate also in Bavaria, Hesse, Switzerland and Poland. You can request a bus with driver for transfers within entire Germany but also to other European countries like France, Austria and Italy. Friedrichshafen Bus: together with carefully selected partners in Friedrichshafen and competent bus companies in Baden-Württemberg, Friedrichshafen Bus proposes you different bus hire services within Friedrichshafen, but also to other areas of Germany (for instance getting bus transfers to Bavaria), yet also to Austria, Switzerland and the rest of Europe. Autobusvermietung Freiburg: the tourism coach specialists from Freiburg are able to work on your bus rental demands and propose you modern and safe motorcoaches for your bus travel itineraries starting, ending or crossing Freiburg and Baden-Württemberg. Even if you are in need of a minibus with driver or a comfortable tourist coach for a bigger group to other regions of Germany (Hesse, Rhineland-Palatinate) or neighbouring countries (France, Switzerland) you can enjoy the benefit of having one bus rental expert handling your request.
. We will be delighted to draw up the best tailor-made offer for you considering all your instructions in the shortest time possible. We will then forward you an estimate of your transfers, visits, excursions or trips in Baden-Wurttemberg as a rough guide!